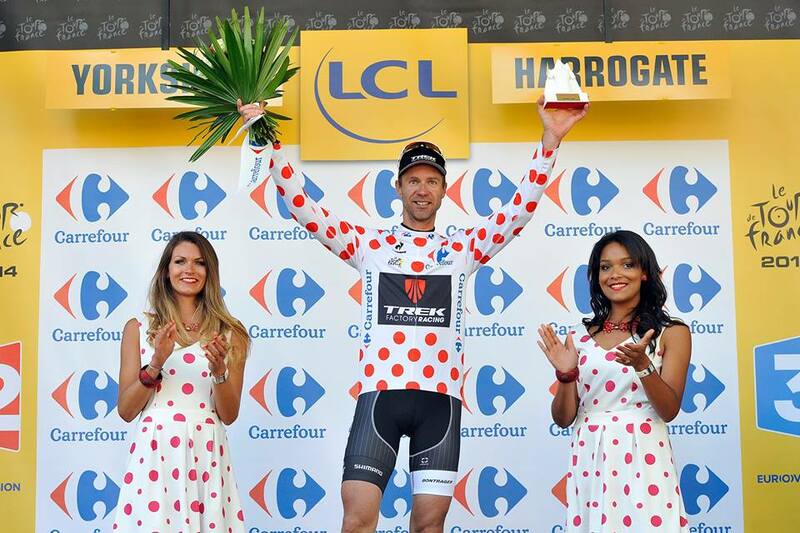 I just want to congratulate Jens Voigt for a superb effort on stage 1 of the Tour which earned him the KOM jersey! At age 42 Jens is the oldest rider in the peloton but he still has enough gas in him to get in the break and put a hurt on the field. I’m the same age (actually 1 day older!) and only wish I had 1% as much riding talent as he does. Jens looks good in polka dots doesn’t he? My hats off to you Jens, you are a pleasure to watch, always put on a good show and are a great ambassador to the sport. p.s. Your NBC interview was fantastic! Hope to see you in the booth next year! The Tour de France has just officially started! Should be an exciting few weeks with all of different personalities & rivalries in the peloton. And how about Jens Voigt, his 17th (and final) tour and the oldest rider in the peloton! Go Jensie!!! Those of us in the US you can view live & replay coverage on NBS Sports. You can find the TV schedule here. You can also access online streaming/features through their website but it’s a paid service. Cyclingfans.com will of course have links to online streaming sites for the tour. Strava has posted the routes for each of the stages if you’d like to follow along virtually. 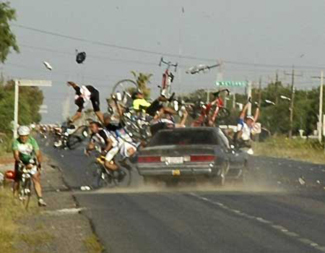 Lets hope for a competitive and safe race for all the riders!